I booked my first apartment in Lima through an online, 3rd party service. 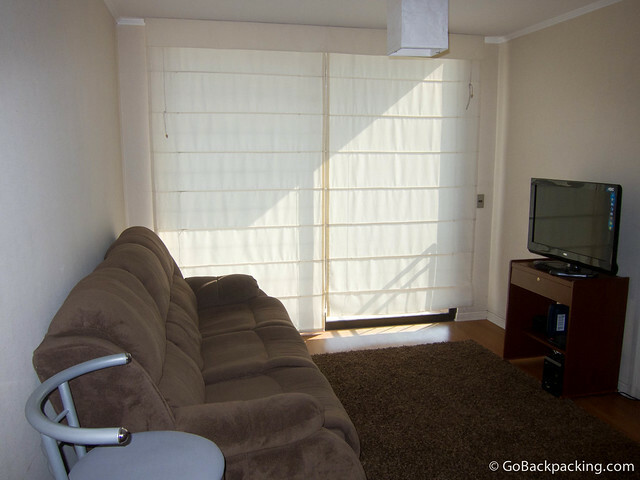 The simple, modern 1-bedroom apartment in trendy Miraflores was perfect fit for me, both in terms of size and budget. 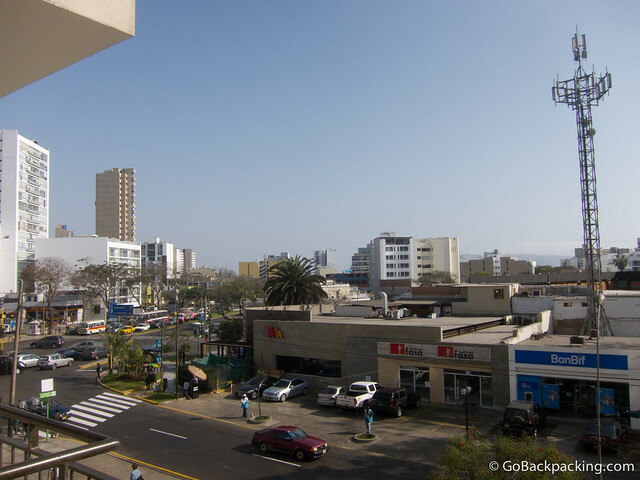 It was also perfectly located between the cliffside shopping center of Larcomar, and Parque Kennedy. Plus, across the street were 4 quality restaurants, a pharmacy, and several ATM's. The check-in process was straightforward. I met up with Giancarlo of Lima 4 Rent in the building's lobby, and we then went up to the apartment together. Giancarlo whipped out his iPad, and after a quick check of the place, including the Wi-Fi, I paid for my full stay up front in cash. My 8 nights in the apartment went by quickly, and I actually ended up renting a different, 2-bedroom apartment for 4 nights right before leaving for Cusco. This time, I skipped the 3rd party site and booked direct with Giancarlo. When I checked into the second apartment, the Wi-Fi wasn't working, and after some troubleshooting, Giancarlo determined the problem to be with the router. I was anxious about paying several hundred dollars for an apartment without working Wi-Fi, but he assured me it'd be fixed by the following morning, if not that night. I paid, and crossed my fingers. True to his word, Giancarlo delivered a new router a few hours later, and I was up and running with Wi-Fi that worked perfectly the rest of my stay. When it came time for my flight to Cusco, Giancarlo once again made it easy on me. He offers rides to the airport for $25, which is more than you'll pay a taxi off the street, but I appreciated the added security of a private ride given I was traveling with all my stuff. And, it's just easier to handle the check-in or check-out process when the person is also transporting you to the airport. After Cusco, I paid for pick-up at the airport, as I was going to be renting the original apartment for a few weeks before Christmas. I slipped back into it as if I'd been living there for years. And as I write this, I've already put a deposit down on the apartment for the week after Christmas (through New Year's). I was really pleased to continue paying the same weekly rate of $360, even though I'd be renting around the holidays. When all is said and done, I will have rented two apartments for a total of 4 weeks through Giancarlo and Lima 4 Rent, and I'm happy to recommend them to friends visiting the city as well. Their website lists the available apartments, along with photos and rates to make picking the one that's right for you as easy as possible. Terms and Conditions are clearly listed on the reservations page. Special Promotion: Pay for an 8-night stay, and you'll get a free night if you rent from them again in the future. The offer is good on the condition that you book at least 5 consecutive nights on your second visit. Lastly, I want to mention Giancarlo has social media covered. You can learn more about Lima, as well as the apartments and company, by joining them on Facebook, following the “Info Llama” on Twitter, and/or reading the blog. If you've got any questions about my experience, or renting in Lima, leave a comment below. Disclosure: I received 2 complimentary nights in exchange for writing an honest review of my experience.